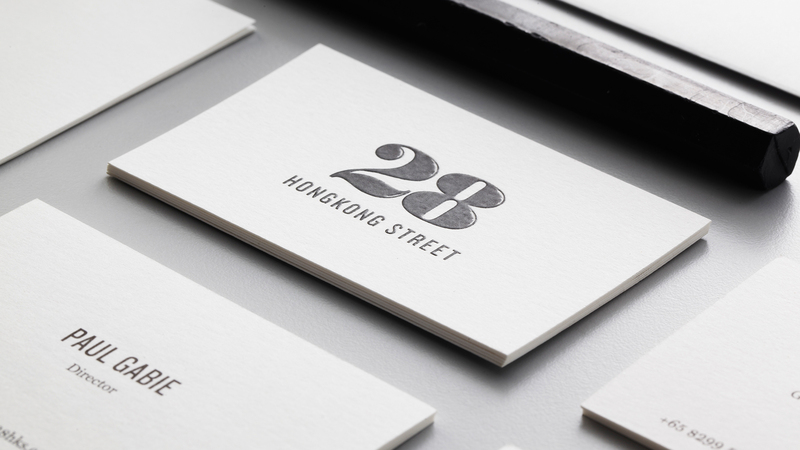 With it’s award-winning barman and contemporary social food, 28 HongKong Street has all the right ingredients for a fine night out. 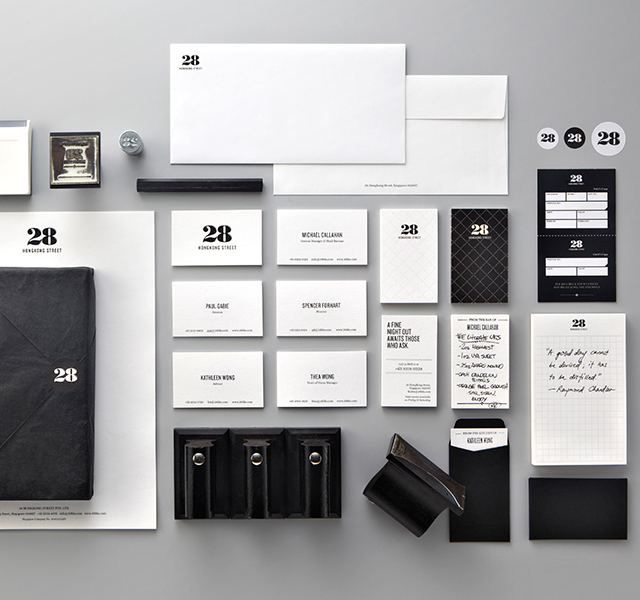 The logo was designed to be both elegant and modern. 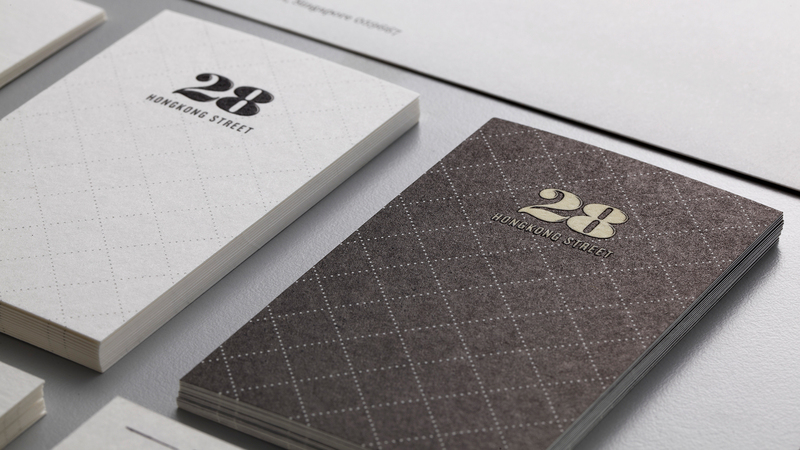 We topped off the classic Bodoni “28” with highlights – a gleam of something unexpected on an otherwise conservative font. 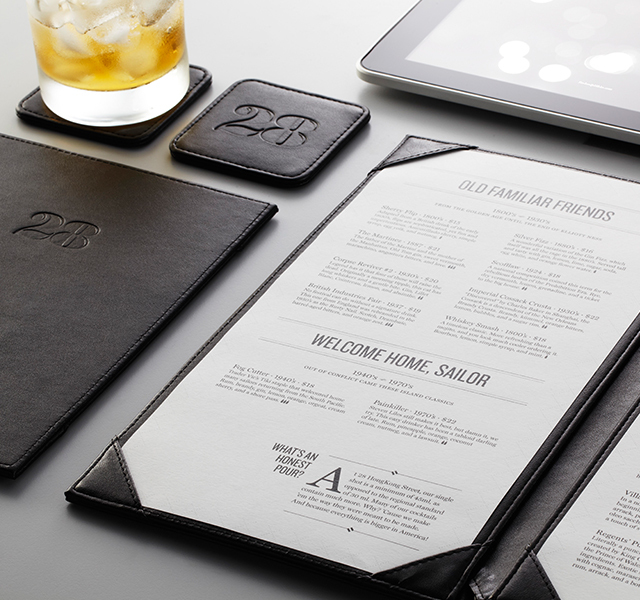 For typefaces, we paired the bold and functional Knockout with the respectable and classy Miller. 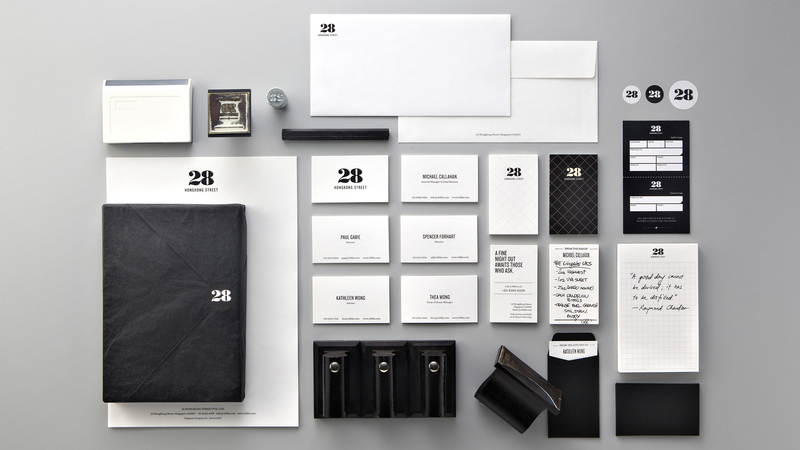 A lot of thought went into the finishing of the brand collateral – the little details that would leave a subtle but lasting impression. 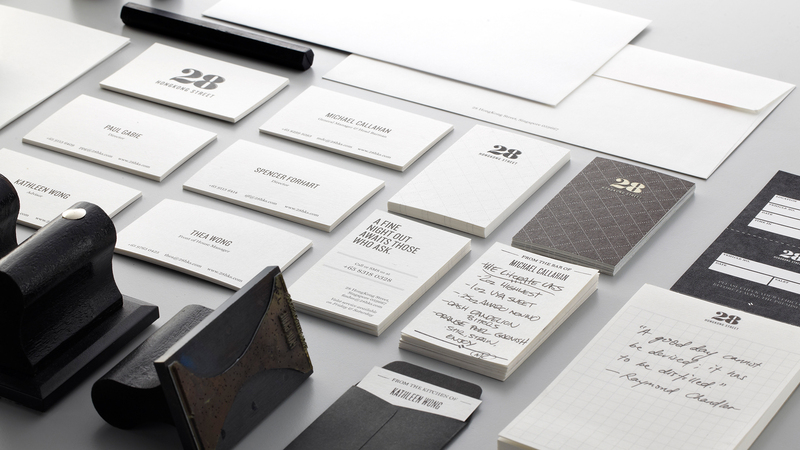 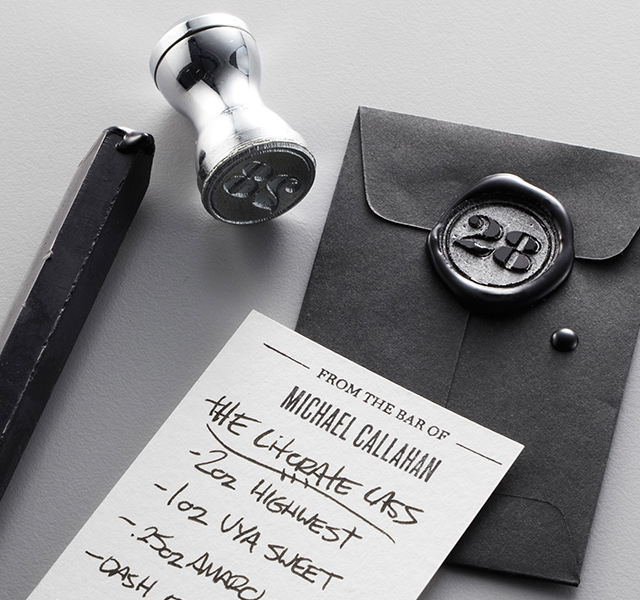 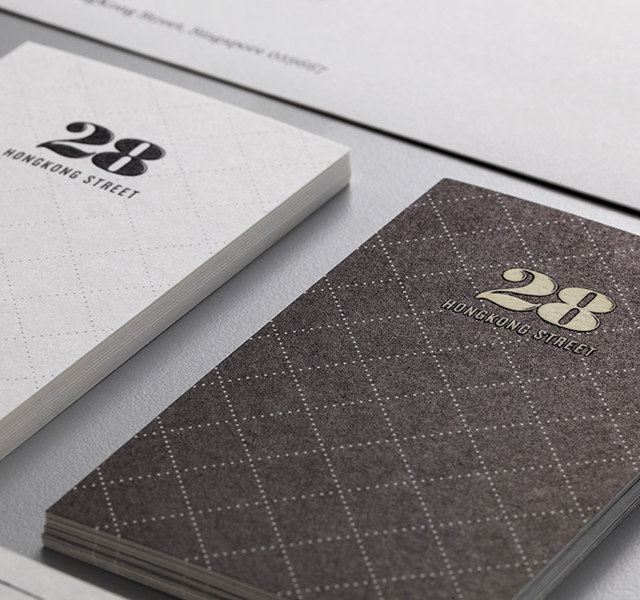 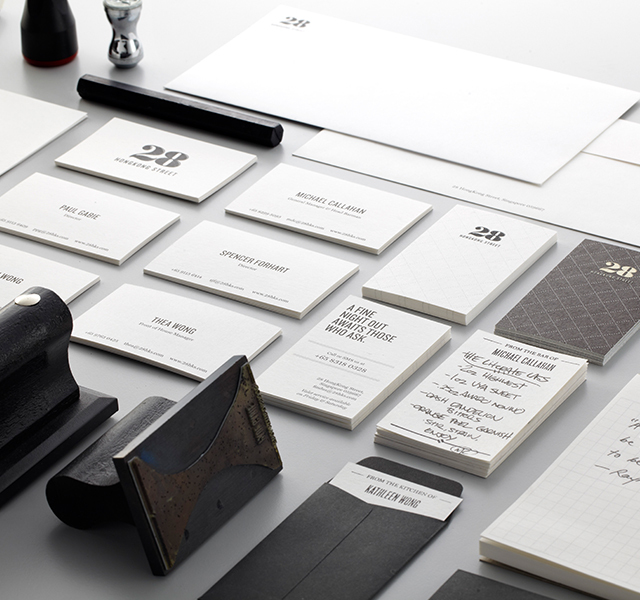 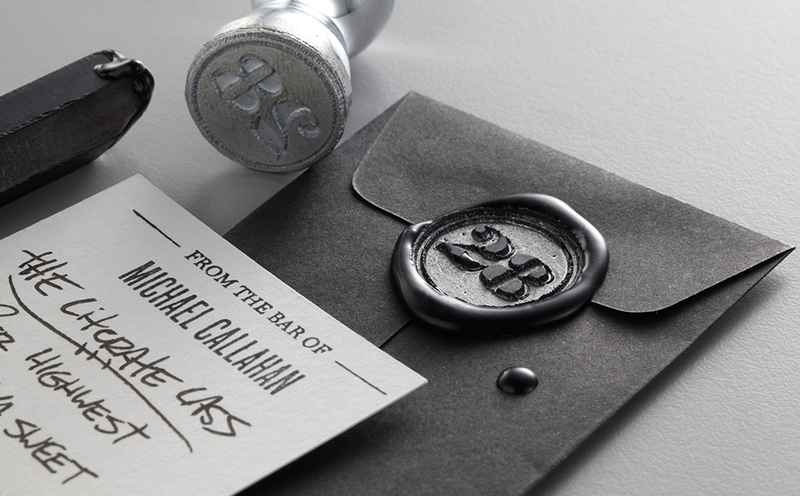 We used powder matte black embossing, which is fantastic to touch. 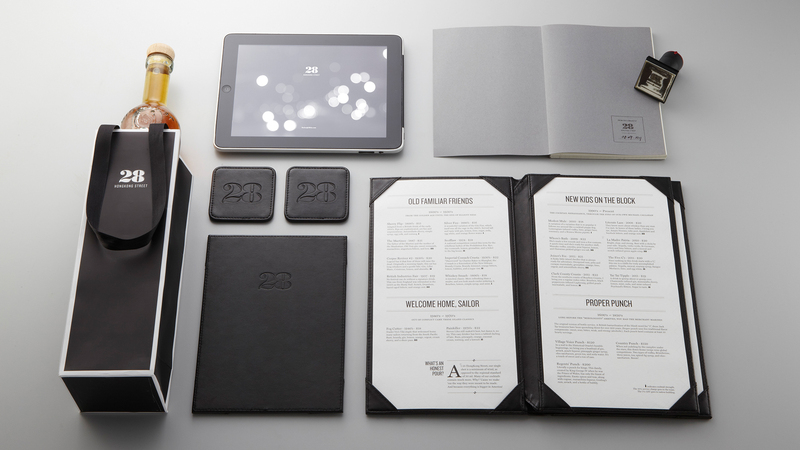 Nearly everything was tactile, from the paper texture to the leather coasters. 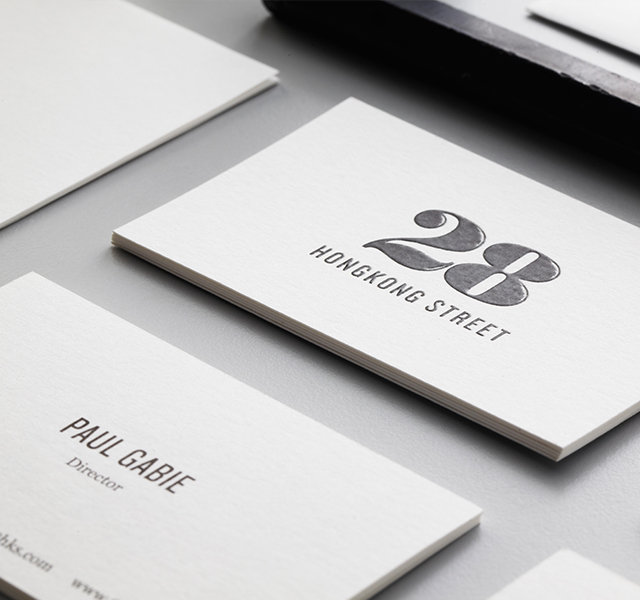 The client came to us looking for a brand that was both classic andcontemporary; that spoke sophistication without snobbery. 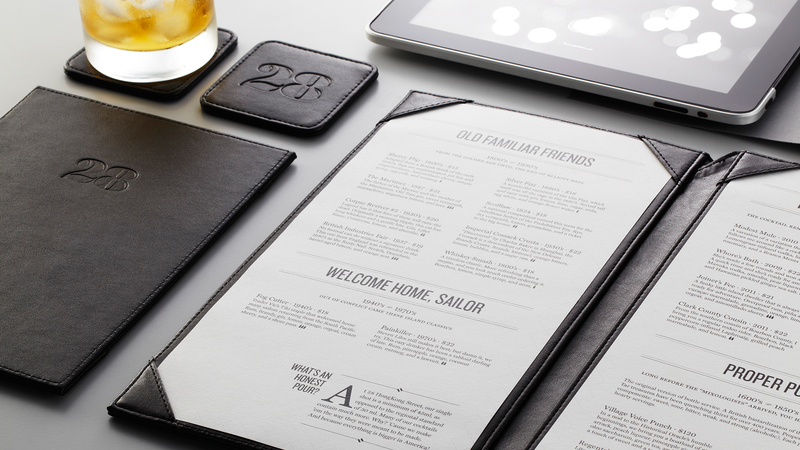 They believe that good is not the same as fancy, and that quality does notnecessarily equate to expensive.